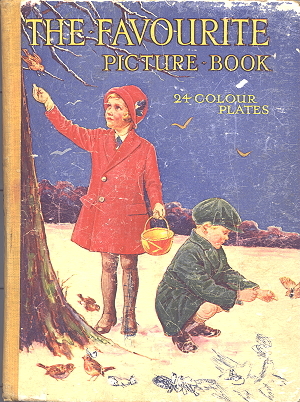 This is a list of books for which Studdy provided in-text illustrations and plates and in some cases the stories themselves. 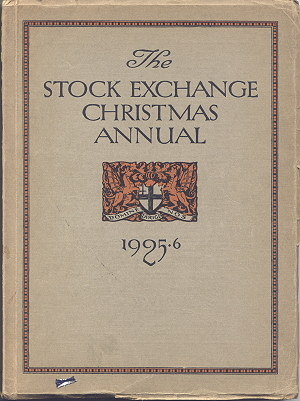 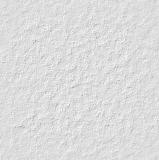 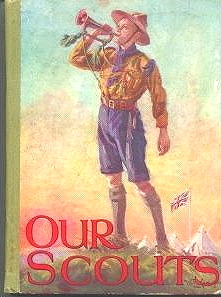 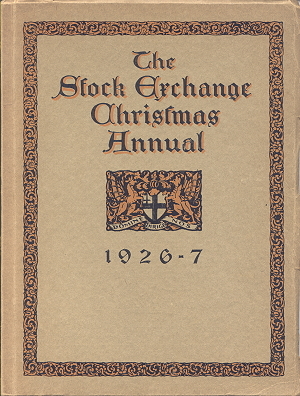 Dates of publication are given where known. 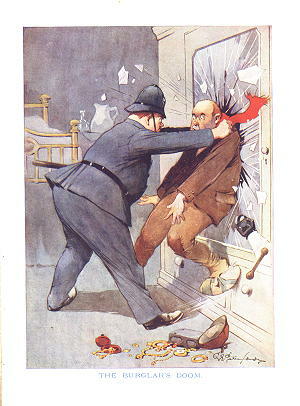 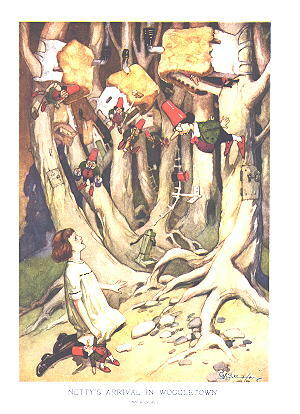 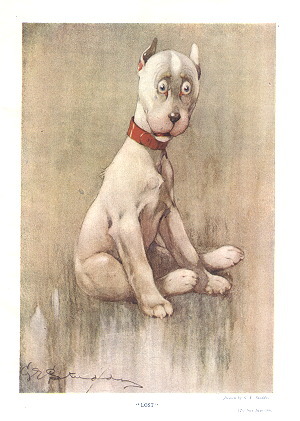 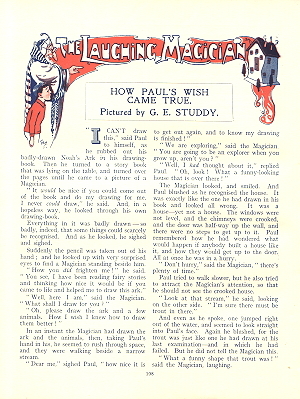 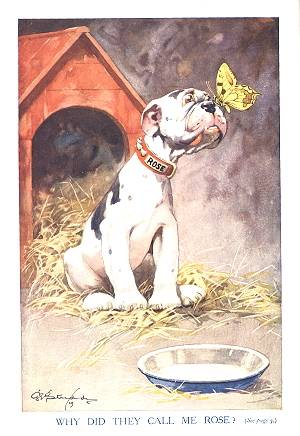 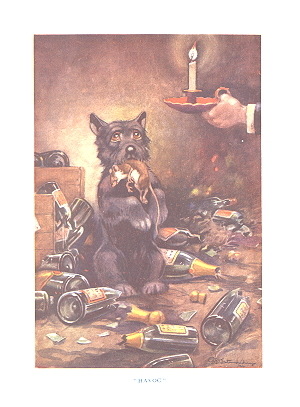 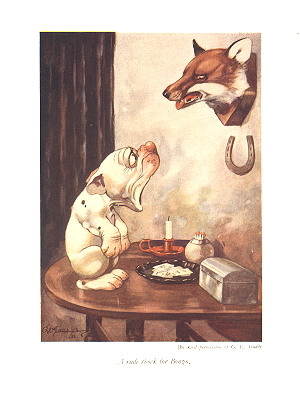 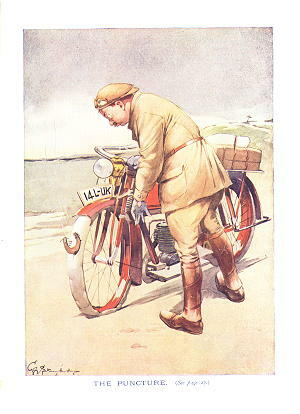 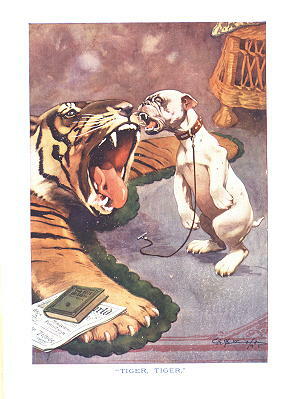 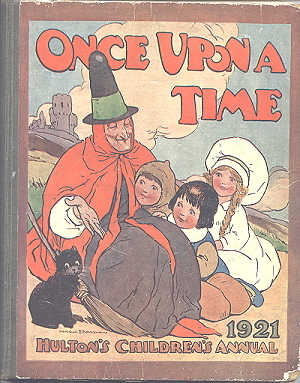 Earnshaw "I'm getting an idea"
Although The Sketch series is probably one of the most recognised outlets for Studdy's magazine work many of his illustrations found a regular audience in other magazines. 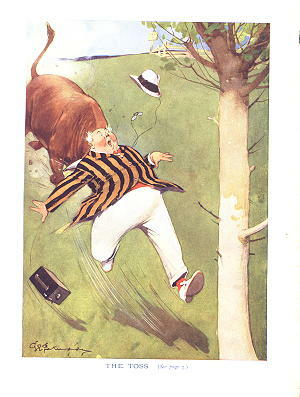 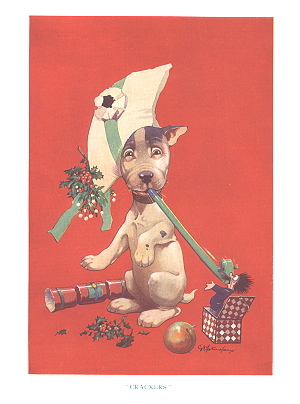 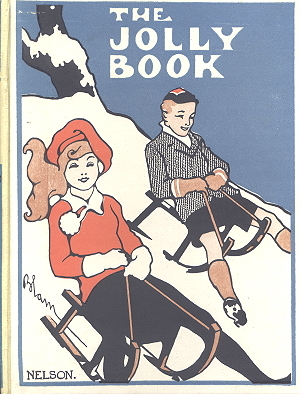 The Christmas release of the Illustrated Sporting and Dramatic News was known as Holly Leaves and this would often carry Studdy illustrations - in many of these Christmas Numbers there were several examples of his work . . . . 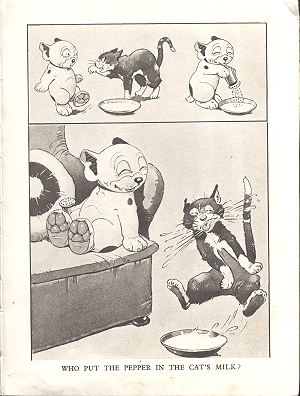 In the mid-1930's Studdy made another departure from his usual cat and dog cartoons, returning once again to his human comic charaters. 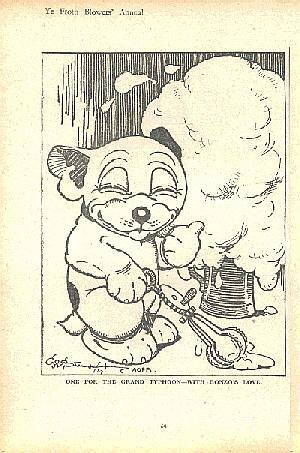 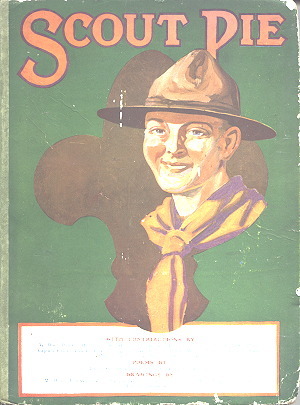 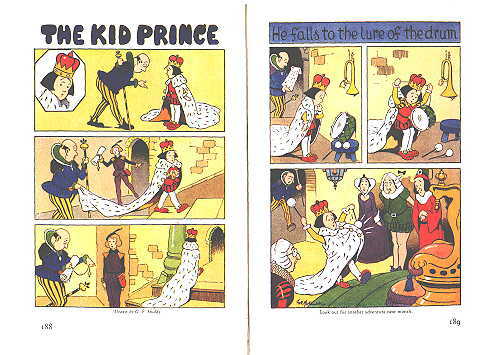 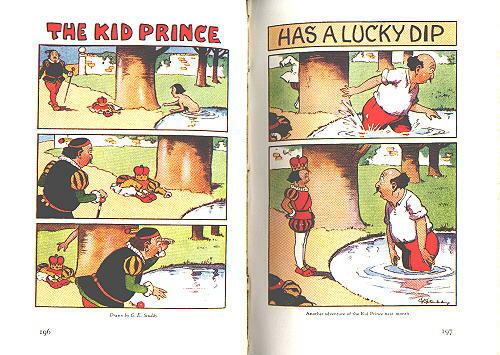 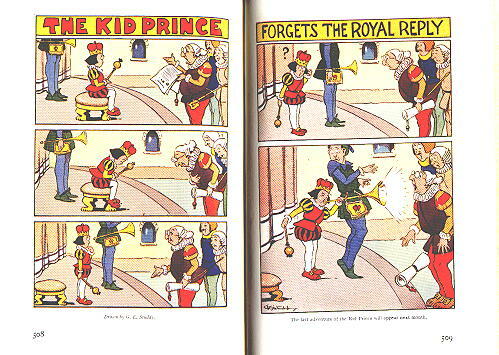 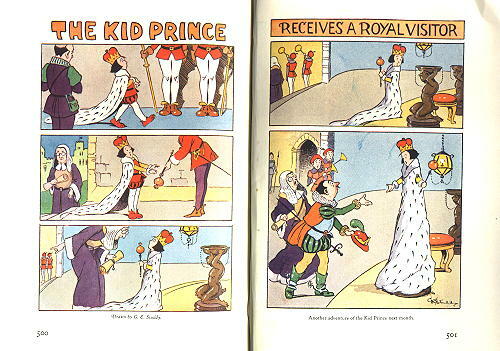 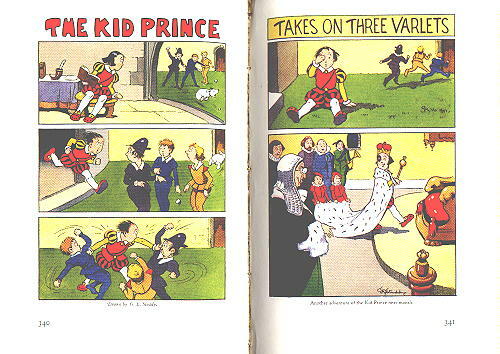 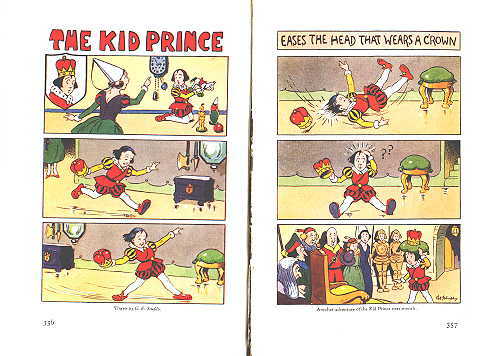 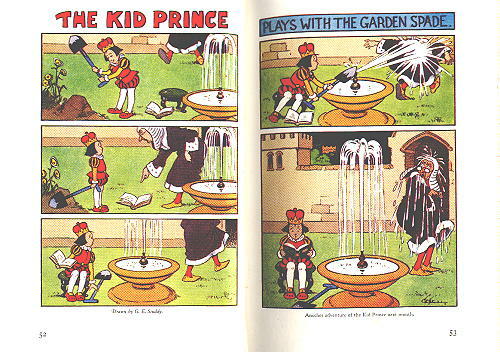 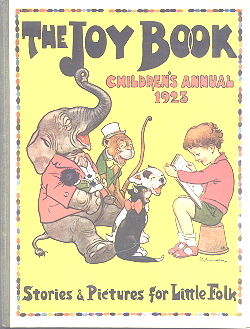 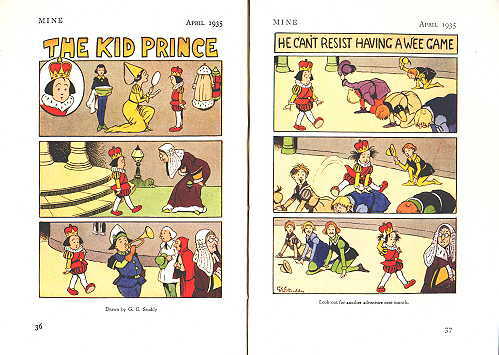 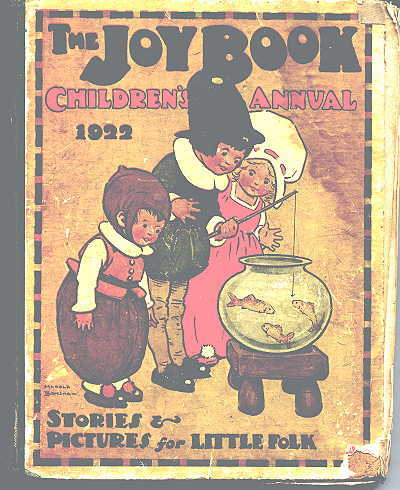 A new monthly magazine for children called "Mine - a magazine for all who are young" had it's inaugural issue in April 1935 and Studdy made regular contributions through a new character called 'The Kid Prince'. 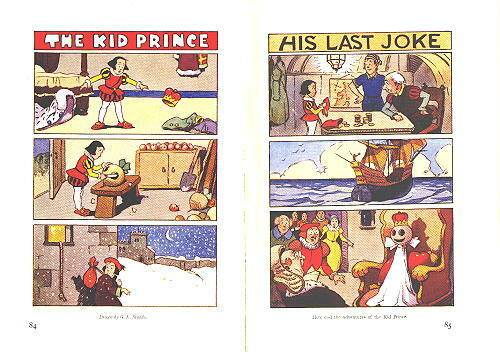 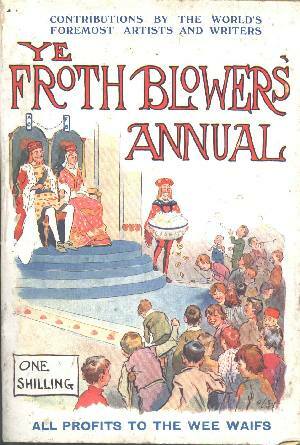 This series took the form of a colour strip cartoon and lasted for the first nine issues of the magazine . . . . 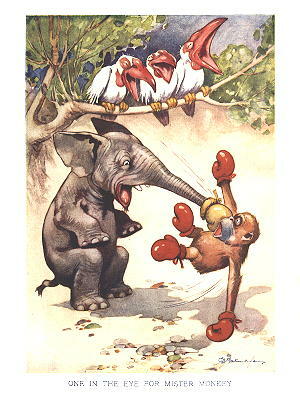 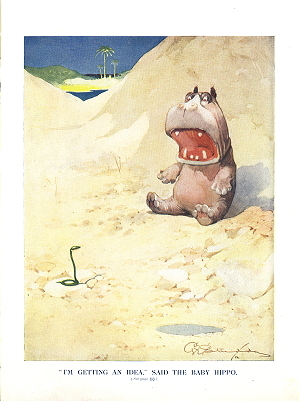 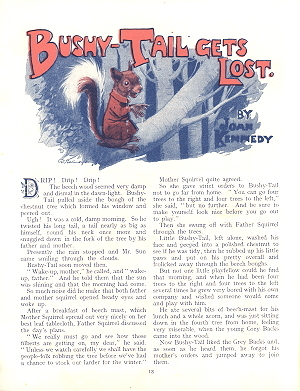 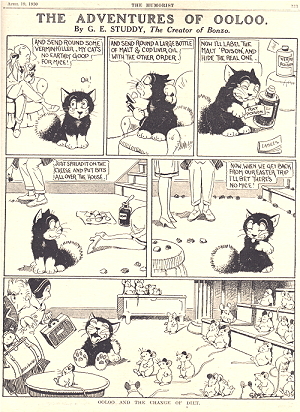 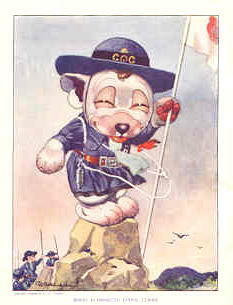 The idea that Studdy had left behind his comic animals though was a short one. 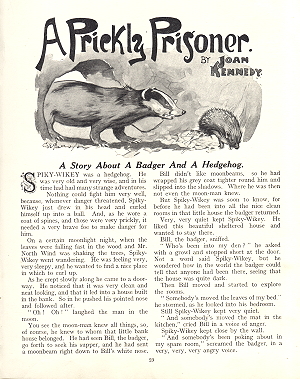 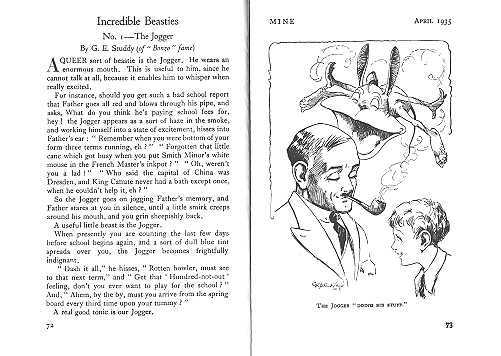 The same magazine spawned another series called 'Incredible Beasties' where Studdy wrote a short story and produced new cartoons of weird and wonderful creatures with names like The Jogger (see above) and Woosh! 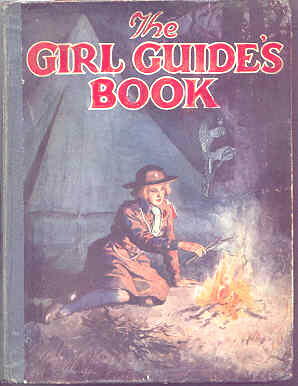 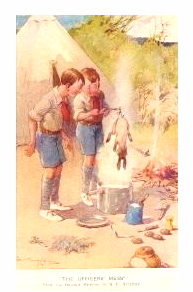 The author was accredited as G.E. 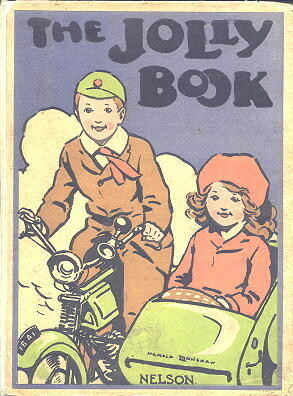 Studdy (of "Bonzo" fame) - as if anyone could forget!